Wow what a roller coaster month it’s been for us. Firstly let’s start with Melbourne International 3DE in which Stuart and Pluto came close to winning- We still can’t believe the chain of events that lead Pluto to being withdrawn on the last trot up. After running second in the dressage, just a whisker behind the leader Sonja Johnson. The scores from the International judges ( 181 and 178) were truly spot on- however our Australian judge not quite agreeing with a 161- a spread from 72% to 64%. After a fabulous cross country run Stuart and Pluto went into the lead. It is policy so close to a WEG selection that all the horses that are in the running for the Championships face a series of trot ups before our team vets. Pluto trotting fabulously in two presentations prior to the late evening one (some 7 hours after Pluto’s run)- Poor Pluto became very lame, we all were baffled, apart from a small mark near his knee we could not find what was bothering him. Unfortunately Pluto did not recover from his acute lameness, X-rays were taken, followed by an ultrasound of his knee which was very hot and swollen by now. Only to find a possible foreign body embedded, which had caused an infection, causing the lameness- thought to be a thorn from a brush fence- TALK about bad luck!! So off the vet making a full recovery within days. very pleased with Pluto’s dressage test. We congratulate them all and wish them all the very best. The next step for us is to see if Pluto is a named reserve. This will be after Sydney ODE on the 23rd July. That being said we are very realistic and have been in the sport a long time to dwell. With some great support from our owners we have a bunch of lovely relatively new horses all which we hope will have a bright future and may represent Australia at some time in their career. The Rio Olympics being our future goal with them right now. We would like to welcome Tim Game back into our fold of competition horses. Recently Karen bought a lovely mare from a German Stud, ‘Medusa’ ( yes I know the name may mean lady with snakes coming out of her head, but we assure you she has no snakes and we do not turn to stone when we look at her!!!!) We invited Tim to have a ride on her and he decided at that time to become a part owner. 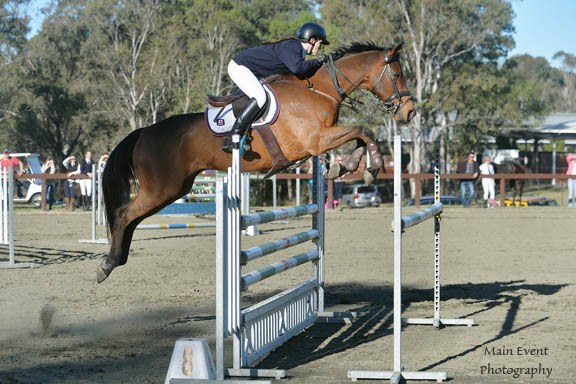 Gemma competing in the 1.20m class on KING at the NSW Interschool Champs 2014. Our new imported German Sport horse ‘Medusa’. 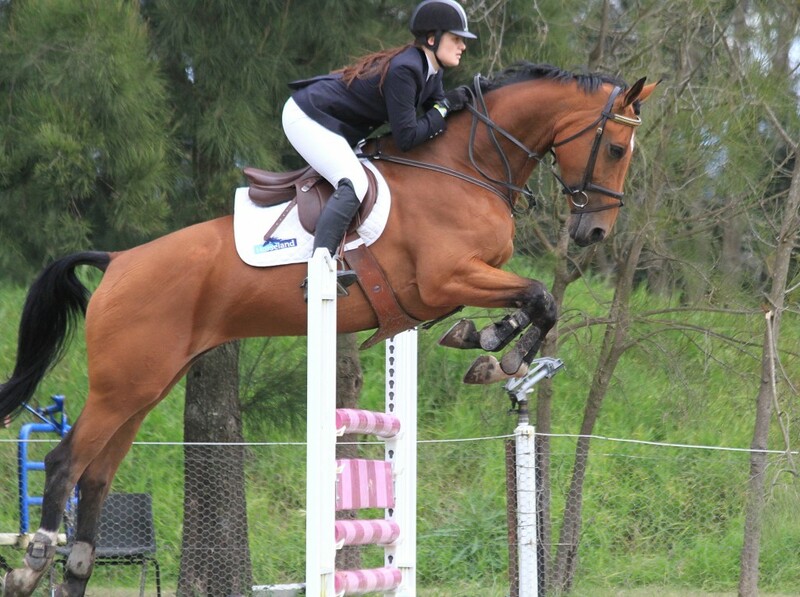 Recently Tim Game becoming a part owner.Jaymee taking ‘Medusa’ to her first competion at 1.10m- coming 6th. With the NSW Interschool Champs completing a few weekends ago, Gemma took both King and Carlchen. Carlchen coming 2nd in the combined training and 10th in the 1.10m. King did a stellar 2 rounds in the 1.20m. Too competitive that day for Gemma and King. There were certainly some amazing combinations in all of the disciplines, with over 500 riders the OC did an amazing job this year. Congratulations to all the winners and place getters. CopRice being a major sponsor of the Interschool’s, there were some great prizes from CopRice. APRIL 26th/28th SYDNEY INTERNATIONAL 3DE – All horses. 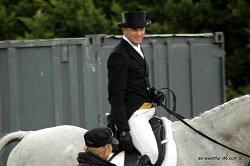 Gold medal event rider, Stuart Tinney, is the consummate equestrian professional. In a tough and difficult sport, Stuart continues to produce incredible results, beautifully schooled horses and well trained pupils. 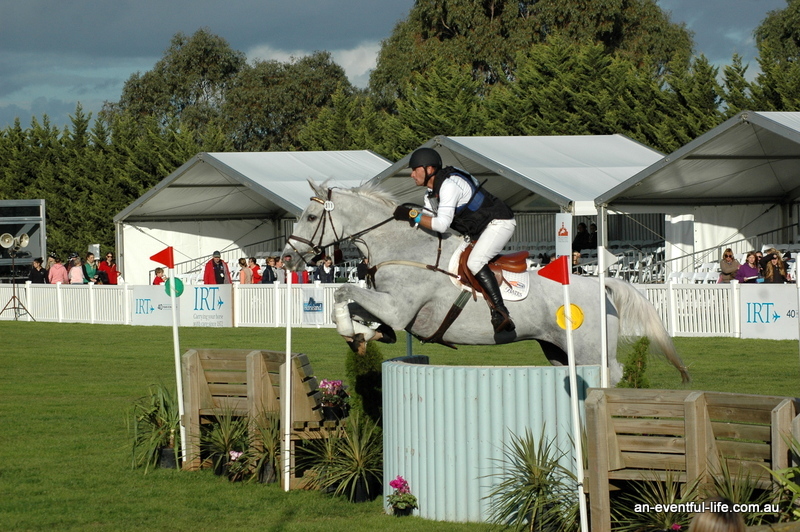 In the competition arena, Stuart has had more success than any other Australian rider based in this country. An Olympic gold medal from Sydney 2000, representative honors at the 2004 Athens Olympics and since 1988 at consecutive World Equestrian Games.